Check out our blog, today’s post is about Maggie’s in Oxford. 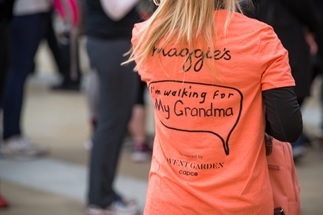 Maggie’s is an amazing charity, they provide free practical, emotional and social support to people with cancer and their family and friends, following the ideas about cancer care originally laid out by Maggie Keswick Jencks. Built in the grounds of NHS cancer hospitals, Maggie’s Centres are centres with professional staff on hand to offer the support people need. Our Centres are places to find practical advice about benefits and eating well; places where qualified experts provide emotional support; places to meet other people; places where you can simply sit quietly with a cup of tea. Take a look at the blog for information on how to help raise money for this great charity.